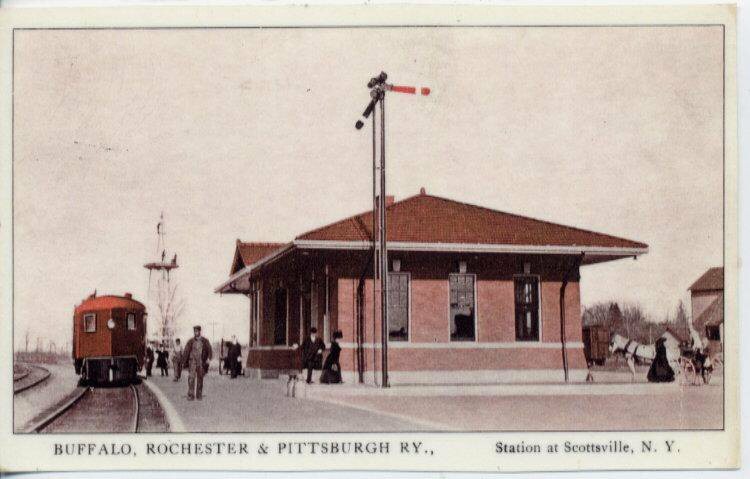 Buffalo, Rochester and Pittsburgh Railway | The McKeen Motor Car Website Buffalo, Rochester and Pittsburgh Railway | The Compendium of Knowledge on the McKeen Motor Car Company, and their experiments. 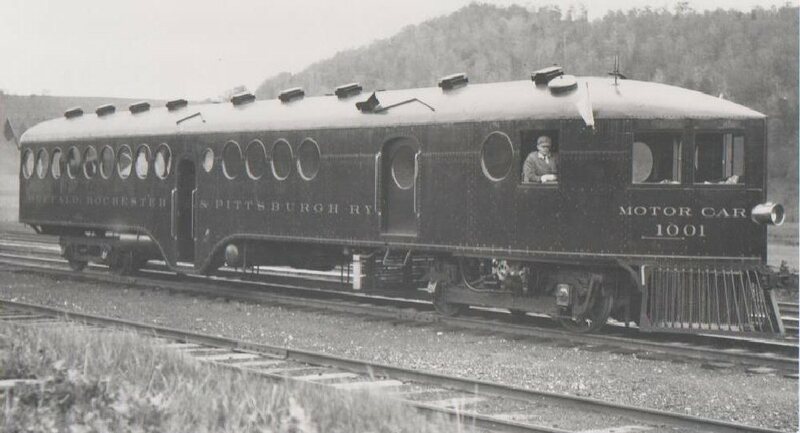 Builders number 090, the Buffalo, Rochester and Pittsburgh Railway #1001 was a 37.5 Ton, 70′ Motor Car with a baggage section, and seating for 84 passengers. 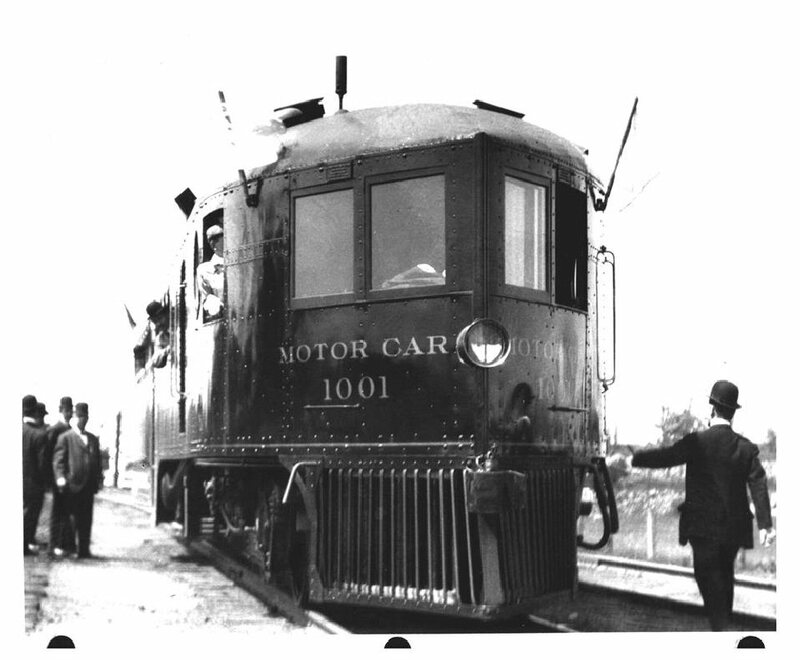 The car was sold to the Deer River Railroad in 1917, then sold to the Narragansett Pier and it became the #8 in 1921. The car is believed to have been scrapped in 1930. 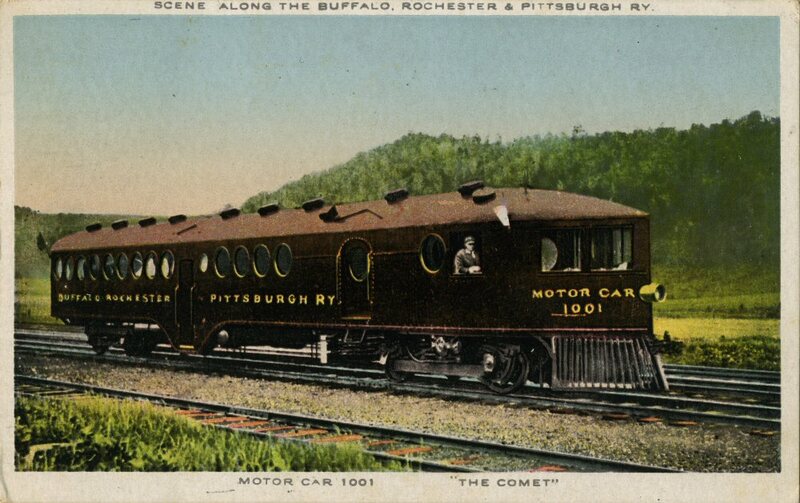 McKeen Motor Car #1001 “Comet” which ran on the Buffalo, Rochester, and Pittsburgh Railway. A postcard version of the photo above, Courtesy of Madison Kirkman. An Artist’s impression of the McKeen Car at the Scottsville Station in New York. 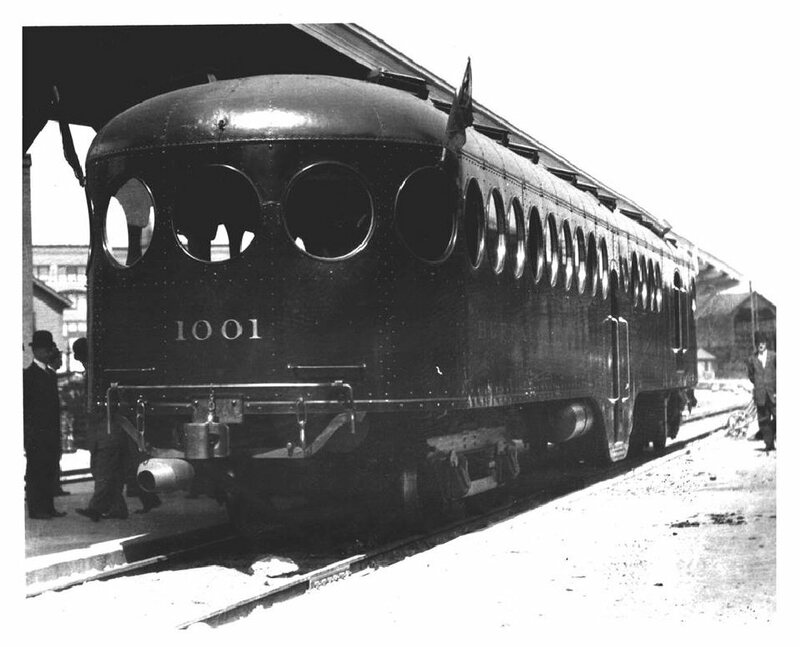 Front view of the #1001 Possibly taken at the LeRoy Station in New York. A rear view taken at the same time as the photo above. 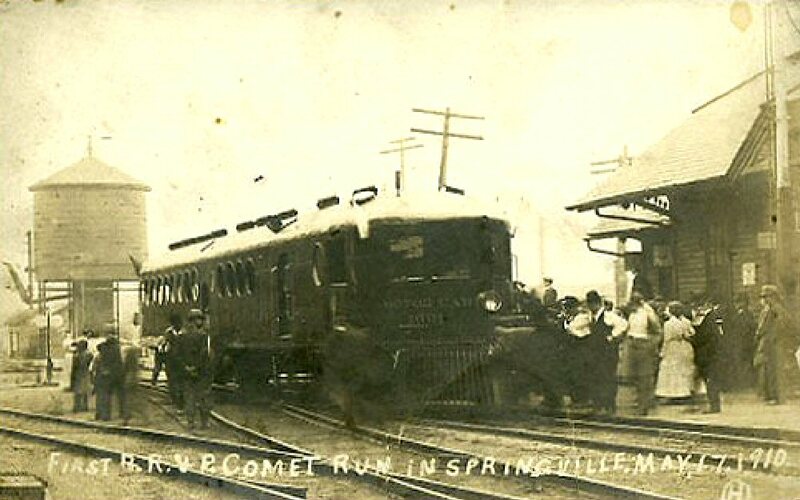 A low quality copy of a postcard showing the “Comet” on the first run to Springville, May 17th, 1910.